I LOVE cranberries and I try to use them any way I can – I even float them in my kitchen sink on Christmas Day. 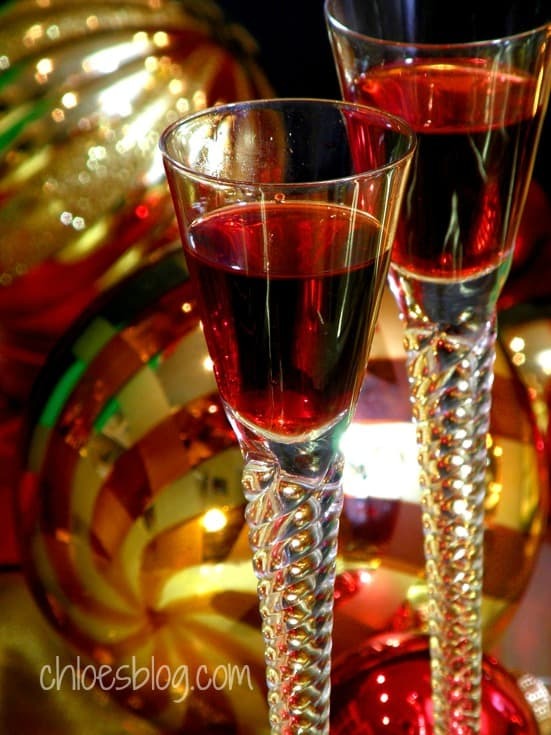 I knew that Cranberry Liqueur just had to be wonderful – and it is. 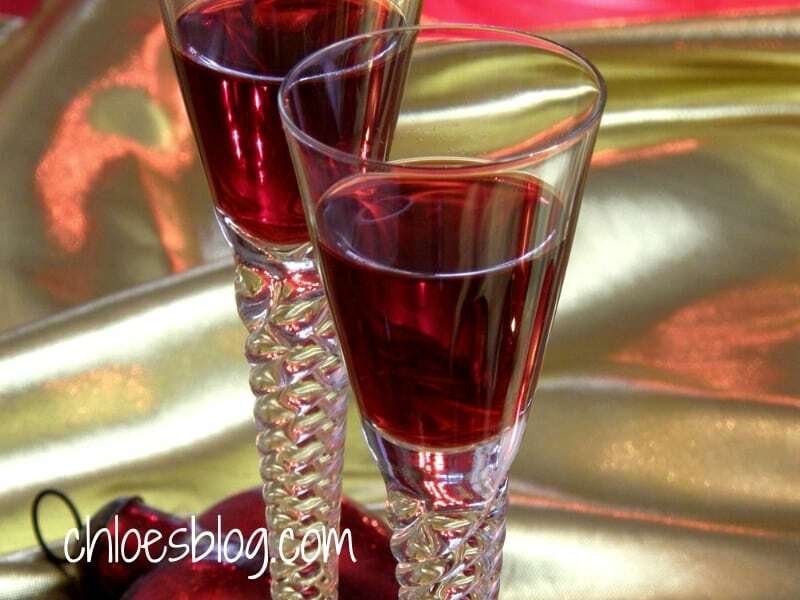 This liqueur is my original recipe and it is a gorgeous, clear-red libation. Combine water and sugar in a heavy saucepan and bring to a boil. Lower heat and simmer sugar syrup for five minutes, making sure the sugar is completely dissolved. Stir in the cranberries, grated orange rind and orange juice concentrate. Remove syrup mixture from heat and cool enough so that the mixture can be safely poured into a blender or food processor. Using the chop setting, pulse so that the berries are just slightly chopped. Pour into a large glass jar, cover and store in a cool, dark place for three weeks, stirring every few days. If this is made during the winter it can be stored in a cool, dark place. If it is made in warm weather, store in the refrigerator. 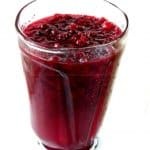 After steeping for three weeks, strain the mixture several times using a mesh strainer or cheesecloth until the liquid appears clear red with no berry residue. Reserve the vodka-soaked cranberries for another use. Pour liqueur into glass jars. Cover and store both the liqueur and the reserved pulp in the refrigerator. (This reserved pulp is great for other things such as topping ice cream and sorbet)! This recipe takes three weeks to age. (For a stronger alcoholic mixture, swap some of the water with vodka, to taste). Since it takes 3 weeks of steeping before being ready to bottle & serve, early December is the time to start prepping your very own batch of homemade Cranberry Liqueur so you’ll have plenty on hand for entertaining, seasonal gift-giving and ringing in the New Year! Another reason to love this recipe? Nothing goes to waste! After 3 weeks of soaking the cranberries in quality vodka, simply strain to separate them from the liqueur. Reserve these vodka-infused berries and serve them as-is, or as a festive topping for homemade sorbet or ice cream. Remember, they can make you tipsy! I have found that fresh cranberries will keep for weeks in the refrigerator, and for months in the freezer. Simply remove the berries from the bag and store in a plastic strawberry or blueberry container with air vents. Every week you will need to pick through and discard any bad berries.